Chase David Keith is an American musical.ly star, Instagrammer, and social media influencer. He is more popular on social media by the username Chaser. 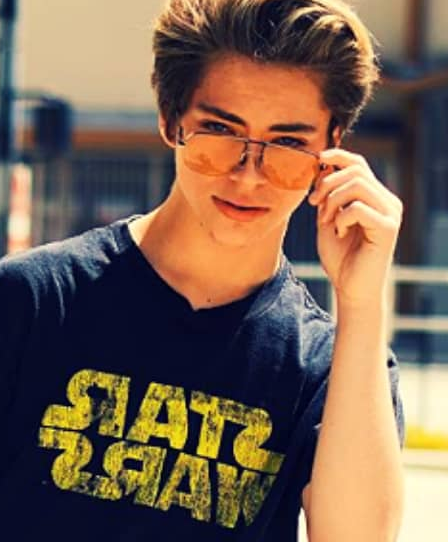 A native of Ohio, he was a model as a child and was given the nickname Justin Bieber Jr. Initially, he started making content for his YouTube gaming channel. He also participated in beatbox and karate competitions. Chase Keith was not being a part of rumors at all. He is just 16 years old as of 2018. He was serious for his career and study. The social media star, Chase Keith was born as Chase David Keith and raised in Toledo, Ohio, U.S.with his siblings. He was born to mother Jamie Keith and have no information about his father. He belongs to white Caucasian ethnicity. Furthermore, the star has four siblings. He has three sisters named bailie Morgan, Lexi and Alexa Lauren Keith and one brother. He was a model as a child. In fact, he was given the nickname Justin Bieber Jr. Taking about his education, he was an under-graduation. Currently, he was schooling. Chase Keith started his journey to fame as a child model and gained a moderate amount of popularity. He was even nicknamed Justin Bieber Jr. In the summer of 2016, he started to experiment with musical.ly and YouTube. Keith posted mainly gaming-related content on YouTube. However, it was on musical.ly that he truly flourished. He is a crowned user on the platform with 819 thousand fans and 41 million hearts. He perfectly syncs his movements with some of the most popular songs out there and the result is simply magnificent. As his popularity on musical.ly increased, his accounts on other social media platforms saw exponential growth as well. One of his recent videos on Instagram accumulated over two million views. By being active on several social media platforms including Live.ly and Live. Me (live) streams, Keith has been able to maintain his growing fame online. By the end of 2017, he had made appearances on PlayListLive Conventions, VidCon, and StyleCon as a creator. He also has been part of three social media tours and participated in two music videos as an extra. 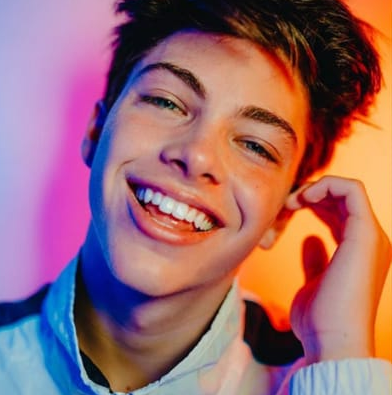 Keith worked with fellow social media stars and good friends Owen Bodnar and Aaron Melloul in these tours and had the chance to interact with his fans directly. As a model, he is employed by Xespansione Fashion XM Corporation. He has an estimated net worth is about $500 Thousand but the salary was not enclosed yet. As for Keith himself, he took part in beatbox and karate competitions. Despite his recent fame, Keith is very serious about his education. He has been a 4.0 GPA student for the major part of his academic life and while he does harbor professional modeling and acting aspirations, he wishes to pursue a career in medicine as well. As of relationship, the star never mentioned anything about his girlfriend on the internet. But we assume Keith is possibly single and focusing on his career. Besides this, he was highly active in social networking such as Instagram and Twitter. He has 450k followers on Instagram and 15k followers on Twitter. He is not a presence in Facebook. A rising star, Chase Keith stands 5 feet 7 inches tall and was 60 kg (132 lbs.). He has a pair of blue eyes and Blonde hair. He has a mesomorph body type with 38 in. chest size and 28 in. waist size. His arms size is 12 in. and shoe size is 7 (UK).